Toillettenwagen mieten in Kleve, Emmerich, Kalkar und Rees. 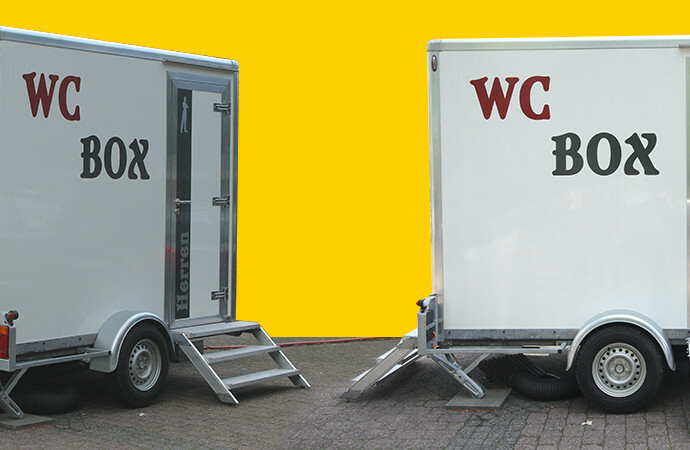 Seit 2011 bieten wir auch sehr ansprechende Toilettenwagen für Ihre Feste und Anlässe bis ca. 120 Personen an inkl. Transport, Auf- und Abbau sowie Erstausstattung an Hygieneartikeln. Auf Wunsch übernehmen wir die Endreinigung für Sie. This kind of clever work and reporting! Keep up the very good works guys I’ve you guys to my blogroll. My spouse and I absolutely love your blog and find the majority of your post’s to be just what I’m looking for. if your web host is OK? Not that I am complaining, but sluggish loading instances times will often affect your placement in google and could damage your high-quality score if advertising and marketing with Adwords. it can survive a 25 foot drop, just so she can be a youtube sensation. My iPad is now destroyed and she has 83 views. I definitely liked every little bit of it and i also have you bookmarked to look at new information in your website. I don’t even know the way I stopped up here, however I thought this put up used to be great. It’s actually a nice and helpful piece of information. I am glad that you just shared this useful info with us. Hello, I do believe your website could be having browser compatibility problems. Fantastic website you have here but I was curious about if you knew of any message boards that cover the same topics discussed in this article? talk about this matter here on your blog. A couple of my blog readers have complained about my blog not working correctly in Explorer but looks great in Safari. or understanding more. Thanks for great information I was looking for this information for my mission. Fastidious replies in return of this question with genuine arguments and describing everything about that. are doing any unique trick. In addition, The contents are masterwork. you’ve done a fantastic job on this matter! the following. unwell unquestionably come more formerly again since exactly the same nearly a lot often inside case you shield this hike. weblog, Keep up the fastidious job. or what the theme is named. Thank you! website style is perfect, the articles is actually excellent : D.
This post provides clear idea in favor of the new viewers of blogging, that actually how to do running a blog. I have read so many content concerning the blogger lovers except this piece of writing is really a good piece of writing, keep it up. At this time it looks like Expression Engine is the best blogging platform out there right now. Hello, its fastidious post concerning media print, we all be aware of media is a great source of facts. Nice blog right here! Additionally your web site lots up fast! million and please continue thhe rewarding work. in your post is just cool and i can assume you’re an expert on this subject. up to date with forthcoming post. Thanks a millipn and please carry on the enjoyable work. I read this paragraph completely regarding the comparison of most up-to-date and previous technologies, it’s awesome article. else recognize such unique approximately my problem. You are amazing! Hey just wanted to give you a quick heads up and let you know a few of the images aren’t loading correctly. Wow, marvelous blog structure! How long have you been running a blog for? you made blogging look easy. The overall look of your site is magnificent, as neatly as the content! share. I understand this is off topic however I simply wanted to ask. Anyway I am adding this RSS to my e-mail and could look out for much more of your respective intriguing content. going to deliver in college. Aus unserer Sicht entsteht ein Vertrauen zum Anhängerkauf nicht daraus, diesen Anhänger auf einer Verkaufsfläche nur anzuschauen und anzufassen, sondern daraus, das Fahrzeug in der Praxis nutzen zu können. Daraus ist unsere Verkaufsphilosophie bzgl. Neufahrzeuge entstanden. Gerne stehen wir Ihnen beratend zur Seite. Neben der Anhängervermietung verfügen wir über ein breites Sortiment an Anhänger-Ersatzteilen und bieten Servicedienstleistungen in Reparatur und Wartung. Urheberrecht © 2019 anhaengervermietung-renn.de. Alle Rechte vorbehalten.